More"Rally Good Deals" & More"Rally Great Prizes"
"With over 40 partner businesses all offering "Rally Good Deals" to our Down Under Rally participants you are just about guaranteed to save more than the rally entry fee!" The Down Under Rally invites you to visit the website of each of these 18 businesses and see the huge range of products they sell and the services they provide. Just click on their business name above. Remember if you are a Down Under Rally participant let them know when you contact them and ask for the details of the Down Under Deal. 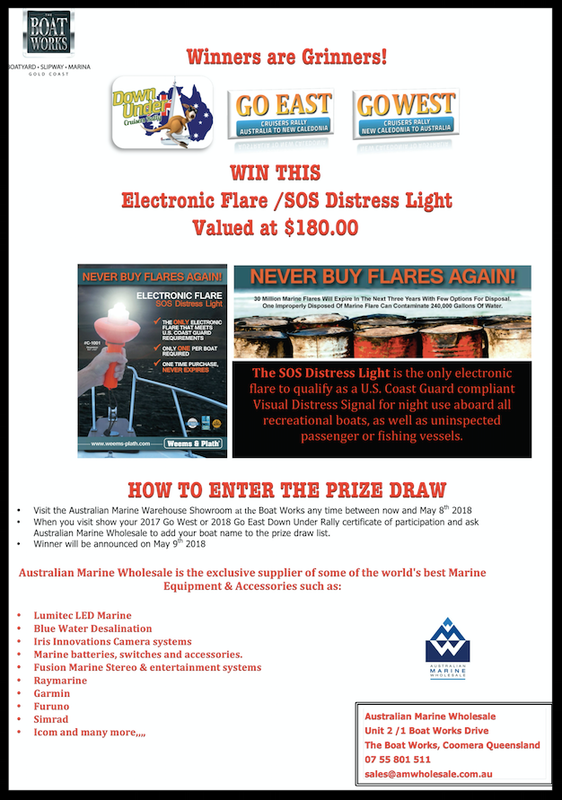 Rainman Desalination have also come aboard as a Down Under Rally Partner and they are offering rally participants $400 off the price of any new Rainman Watermaker System! Baileys Insurance Brokers are now also offering 10% Discount on new and existing Marine Insurance policies and Yachtsmans Travel Insurance policies issued by Topsail Insurance that are taken out via Baileys Insurance Brokers. Please Note : To qualify for the discounts and Down Under Deals you will need to produce your Down Under Rally Certificate of Participation. Full details of all the offers being made by our rally partners will be provided in our "Guide to Rally Benefits Go East 2018" when you register for the 2018 "Go East" & "Go West" Rallies. Back in 2017 Paul and Sue of the catamaran Supa Trooper had for some time been dreaming of "sailing off into the blue"in search of adventure and new experiences. 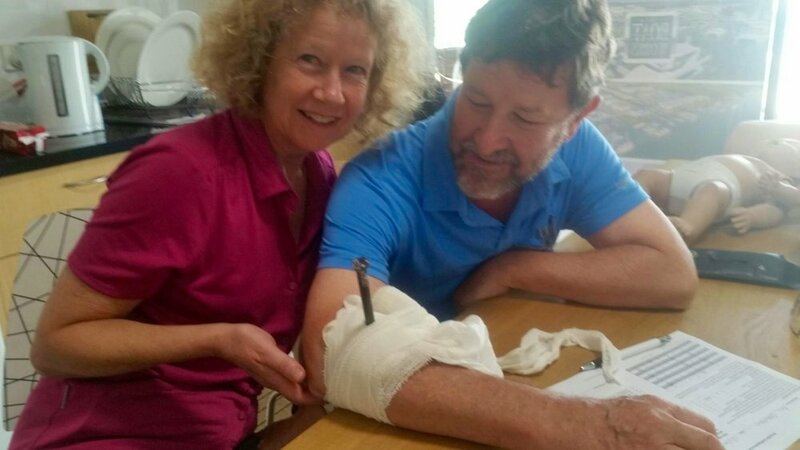 Paul and Sue also attended our First Aid for Cruisers Course at the Boat Works Gold Coast and brushed up on their skills - just in case. We met them in February 2017 when they attended the Down Under Rally Offshore Cruising Preparation Course to learn skills and gain confidence in preparation for their first offshore cruising adventure. They subsequently joined the Down Under "Go East" Rally and in May 2017 sailed with the rally from Australia to New Caledonia. After a successful voyage Paul and Sue spent almost 3 months cruising and exploring the pristine anchorages and islands of the lagoons of New Caledonia often in company of other 2017 Go East Rally Participants. 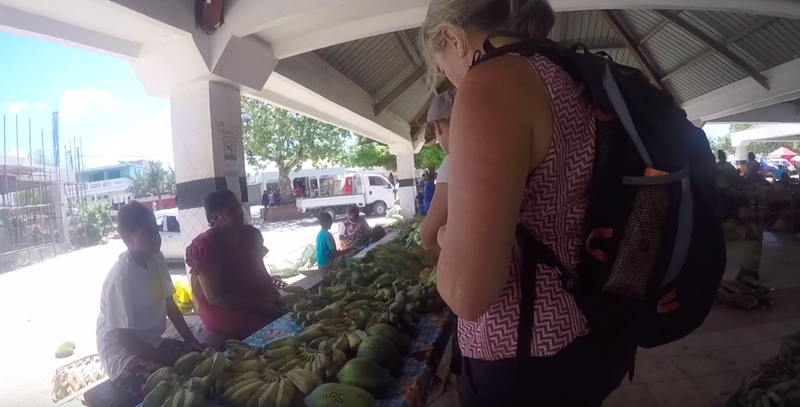 They sailed onwards to Vanuatu and once again in the company of other rally participants spent just over 2 months visiting many of the islands and experiencing the culture of the local people in the Vanuatu group. A big Happy New Year to you both! The videos below were taken by our passage crew Paul & Leah Waterston. You can tell we thoroughly enjoyed ourselves but most of all, learned an awful lot when you see the difference in confidence, knowledge and the state of the boat, between the outward bound and homeward bound trips! A big thank you for organising the 2017 Down Under Rallies and we would recommend them both to anyone wishing to sail offshore for the first time. Coincidently Paul Waterson, who made these videos & his wife Leah contacted the Down Under Rally in March 2017 asking if there were any rally participants looking for crew. They subsequently joined Paul & Sue aboard Supa Trooper for both the passage from Australia to New Caledonia and the return voyage from Vanuatu to Australia. The Down Under Rally says:"Well done team Supa Trooper" and thanks for sharing your experiance with us.